Jakarta: The Qatar Olympic Committee (QOC) hosted a reception for the members of the Olympic Council of Asia, members of the National Olympic Committees of Asia and distinguished guests in Jakarta at the official Asian Games 2018 hotel. 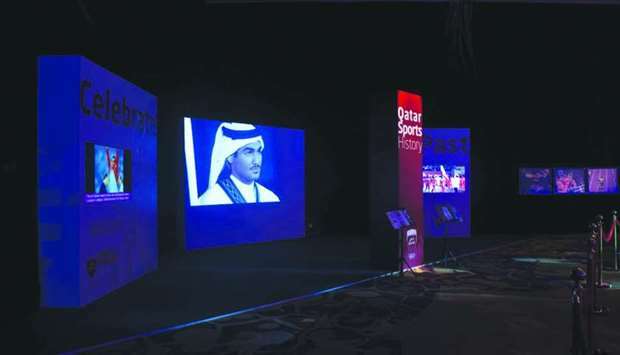 The reception showcased the best of Qatar’s sports with a display of past, present and future accomplishments and projects. 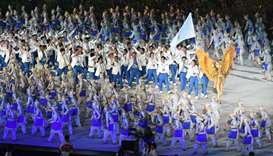 The past showcased Qatar’s sporting history from the 1970s with participation in many of the regional and international events, and the first Olympic medal in Barcelona 1992 Olympic Games to 6 medals at the Asian Games 1990 in Beijing. 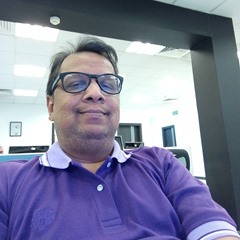 The exhibition also presented the many events and Championships Qatar has hosted since the 1990s, as Qatar has taken great pride in hosting world class events and welcoming many nations and international sporting federations to Doha. The exhibition also had a focus on Qatar’s future, one that is bright with many possibilities especially for Qatari athletes that have emerged from the many innovative programs and initiatives such as the Athlete development pathway’s project ‘Kun Riyadi’ and Schools Olympic Programme. Guests also had the opportunity to taste traditional food, try henna and Arabic calligraphy art. 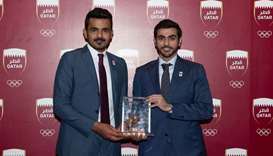 At the 18th Asian Games, Team Qatar is represented by more than 200 athletes from 20 National Sport Federations and will compete in 30 events and disciplines. Team Qatar will also compete in two new sports for the first time in Qatar’s Asian Games history, including 3x3 basketball and air sports.